Luxury accommodation provider Unique Home Stays have teamed up with Fifteen Cornwall in Watergate Bay, to create the tempting High Life romance package to inspire lovebirds looking for a very special getaway. Whisk your beloved away for a long weekend at the awe-inspiring iconic island hideaway, The House in the Sea. The quirky interiors fuse a cool New York vibe with sophisticated coastal luxury making this private island retreat the epitome of seaside chic. 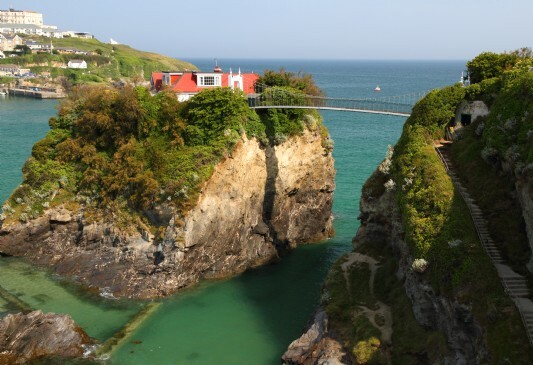 With far-reaching views of the Cornish coast and private suspension footbridge approach, The House in the Sea is a truly magical unique home stay which will enchant discerning guests looking for a truly fabulous experience. Not only will guests have the entire island house and secluded gardens to call their own for a minimum of a three night weekend but, thanks to our unique affiliation with Fifteen Cornwall in neighbouring Watergate Bay, guests can look forward to enjoying the tempting High Life romance package exclusively available through Unique Home Stays. The package includes a three night stay at the island, priority table booking service, a return chauffeur-driven car to and from the restaurant, plus a delicious five-course tasting menu at Fifteen Cornwall, one of North Cornwall's most popular gastronomic destinations. Fifteen Cornwall’s signature style of Italian inspired, rustic, honest food will send taste buds into a frenzy; with juicy steaks, wood-fired vegetables and chargrilled fish all prepared on the charcoal-fired oven. Let the front of house team share their expert knowledge as they guide you through your five course tasting menu, from antipasti to dolci; all tailored to your personal tastes and appetite. The High Life romance package must be booked by calling 01637 882014, quoting ‘High Life romance package’. All restaurant bookings to be made directly by the client quoting the priority table booking number, booking reference number, and must be booked with Fifteen Cornwall’s reservations team, quoting their full contact details and credit card details for confirmation. In the event that a table is not available, alternative dates will be suggested. The prices quoted are based on 2 people staying for a 3 night break in low season. Up to 6 people can book a stay for any length of time desired, but the price will alter dependent on date and amount of people in the party. Times and dates of your dinner reservation are subject to availability. 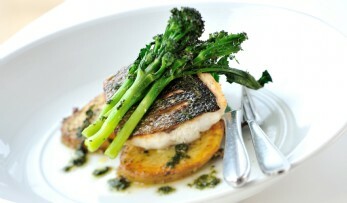 The High Life romance package cannot be used in conjunction with any other offer at Fifteen Cornwall. The offer is not valid between July and September. The customer will need to print off their e-voucher so that it can physically be presented at the front desk of the restaurant on arrival. Without the printed voucher, Fifteen will not be able to honour the booking and the customer will have to pay in full. Children in the evening The evening is a more adult experience, there are no children’s options on the menu and the five-course tasting menu experience can take up to 2½ hours. It’s not suitable for children under 4 years of age. Children up to 12 years are welcome to eat at 6.15pm or 6.45pm. 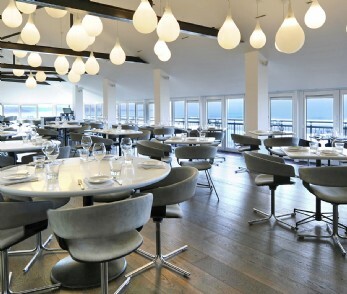 Dinner Menu Fifteen Cornwall only serve a five-course tasting menu for the ‘High Life romance package' (this does not include any drinks). Vegetarian options will be made available if asked for in advance. Food allergies Clients must inform Fifteen in advance if suffering from a food allergy. Fifteen will make a note in the booking so the waitress can advise you of the dishes that are suitable on the menu. Challenge 21 policy Fifteen Cornwall are unable to serve alcohol to anyone under the age of 18. If anyone looks 21 or under then they are required by law to provide photo ID. For all bookings we ask whether anyone in the party looks 21 or under before we then request that they bring photo ID. Disabled access Those with reduced mobility and wheelchair users will be able to access the restaurant via a Stairmate Major stair climber. To request the use of the stair climber please contact us in advance. Booking Times Please note that any tables booked at 18:15, 18:30 and 18:45 must be vacated by 20:45, 21:00 and 21:15 respectively.